Be creative and take advantage of our fully customisable plastic card printing service. Go with the well-used traditional designs in bold and simple colours for useful effect or be different with an edgy project. Choose a shape, size and colour to make your printed plastic cards unique and compelling. 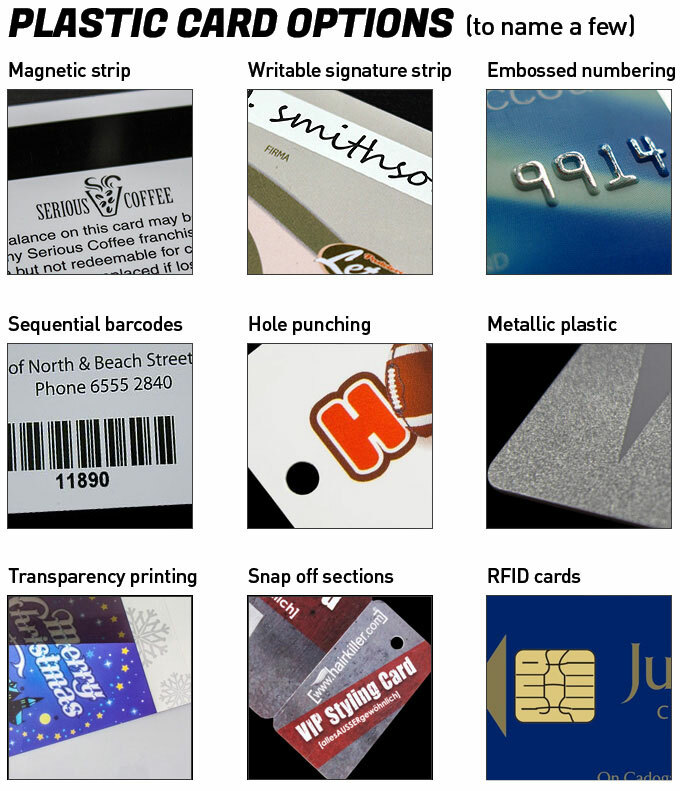 Once the design is complete, make it functional by adding unique identifiers like serial numbers, barcodes or magnetic strips. And for carrying around at events or corporate functions you can hang from a matching lanyard available right here from us!